If somehow you didn’t see this one coming, I have a bridge to sell you. As 2015 draws to a close, Microsoft and Lionhead have confirmed that Fable Legends, the multiplayer action adventure spin off of the popular franchise that was slated for launch this year, but in fact never managed to show up so far, has been delayed into next year. The exact release date for the game is still unknown, though we do know that the beta for the game has been dated for some time in Spring 2016. 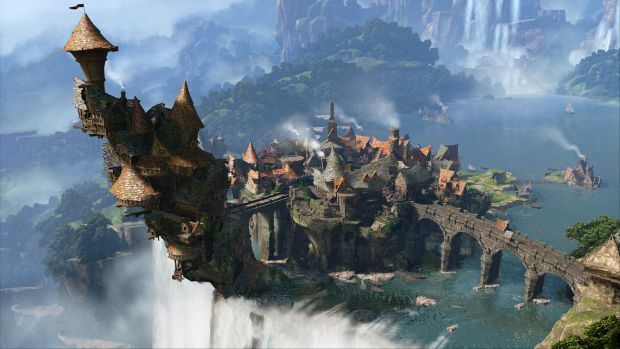 “To be honest, we didn’t anticipate just how big Fable Legends is becoming,” said Lionhead. “We’ve built a unique and innovative multiplayer experience combining RPG and RTS gameplay which allows you to play, and use your gear seamlessly, across Xbox One and Windows 10. “We’ve decided to extend our closed beta to continue to listen to feedback from our players and add features and polish that will make a real difference. This means Fable Legends won’t release into open beta this holiday as previously announced. We realise this may be disappointing for those of you not currently playing, so we wanted to tell you why. I suppose they can take their time- and though expectations from the new game are generally low, I just don’t want it to be as disappointing as the last few Fable games have been. Fable Legends will launch on the Xbox One and PC.